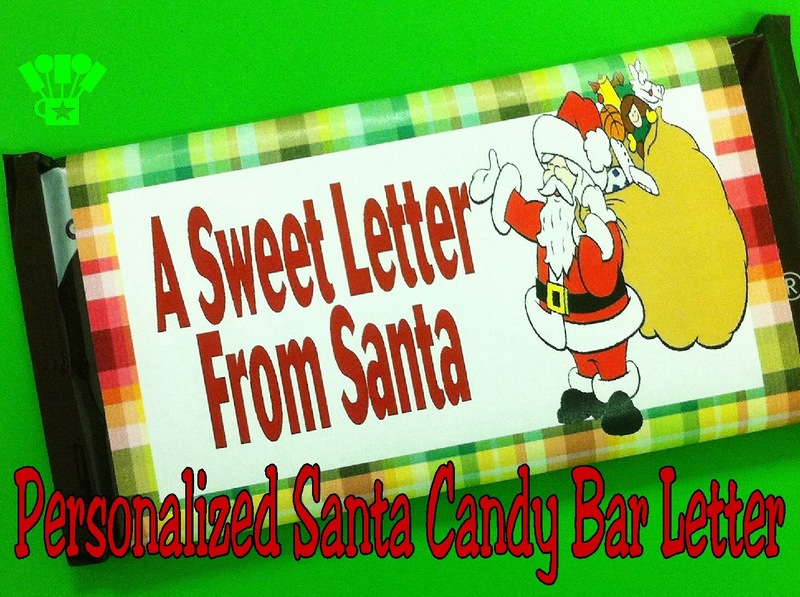 Give your child a personalized Santa letter wrapped around an extra large 7 ounce Hershey candy bar. You can add personalization and print at home for a quick gift! So Christmas is only a few days away! Are you ready? I am TOTALLY not. I don't know why it seems that the holiday sneaks up on me every year. It's not like it changes dates or I don't know that its coming. It just seems that life happens and before you know it Christmas is here. 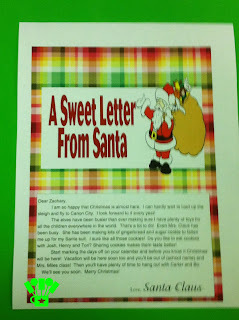 In case you're like me and are looking for a few last minute gift ideas to make the holiday a little extra special, I have been playing with a personalized Santa letter for Mini Me and I'm sharing it with you today! 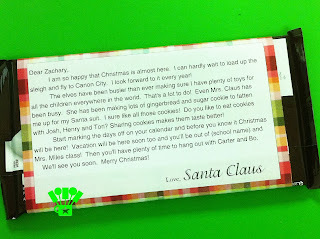 You can add your child's personalized information to the letter and leave it in his or her stocking so it looks as if Santa brought a candy bar with a sweet letter just for them. Or you can drop it in the mail today and have it delivered to your house to suprise your little one. 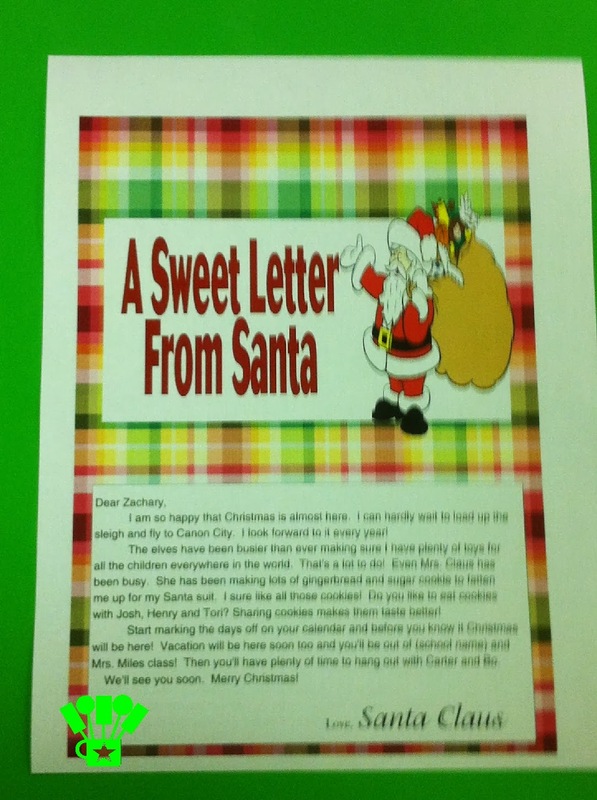 To make this letter for your child, go here and download the Personalized Santa Claus Letter in pdf format. Open the letter in Adobe Acrobat and find the personalization fields. 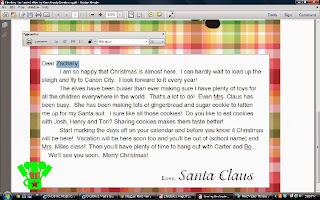 There are places to add your child's name, hometown, siblings' names, school, teacher's name, and friends' names. Just click on the text area and add your information. Print the letter out. I like to use a thin photo paper (Kodak Glossy Photo Paper is my favorite) because it's nice and glossy, but you can use regular paper too. I'm not a fan of cardstock because it can be hard to fold around the candy bar. 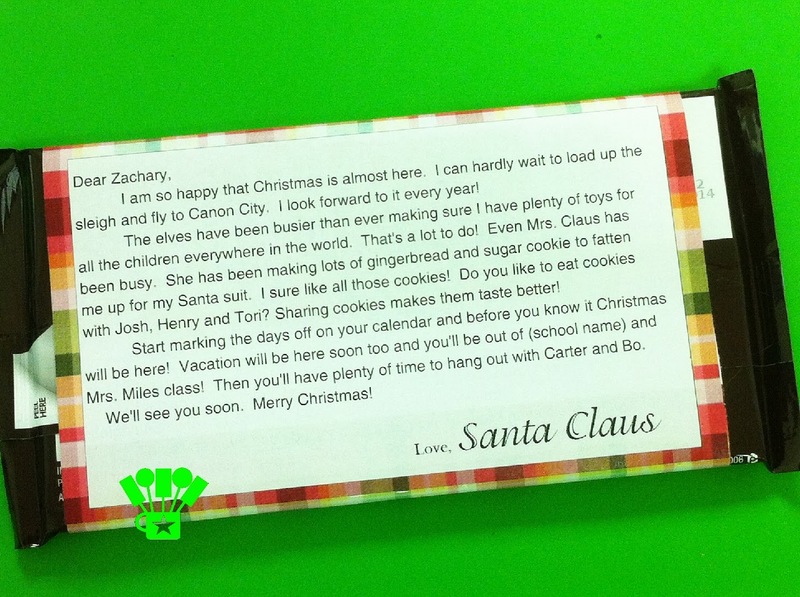 Now slip the candy bar into your child's stocking or into the mail to be delivered to your house! If you have more than one child and don't want them to have the same letter, I have other candy bar letters available in my shop. 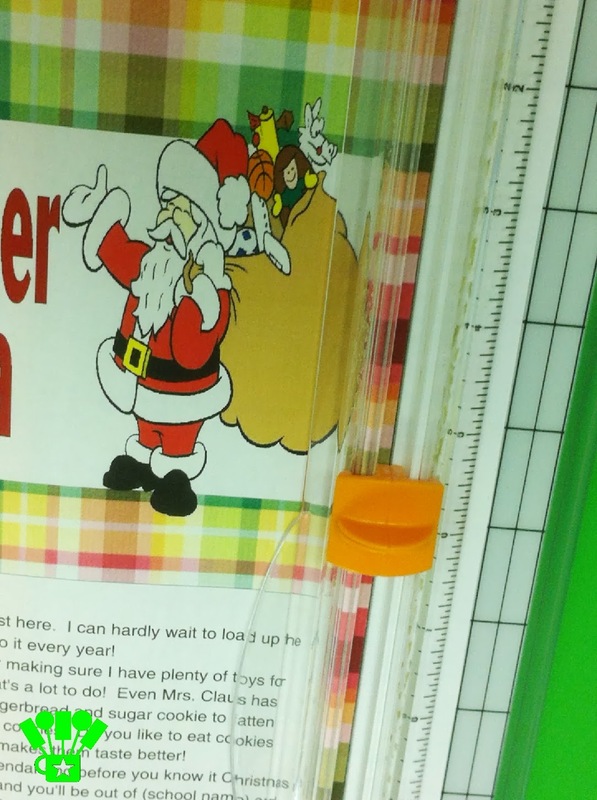 You can find another Santa Claus letter, a Letter from a Christmas Angel (religious theme), and a letter from your Elf on the Shelf! Do you have any last minute gift ideas? 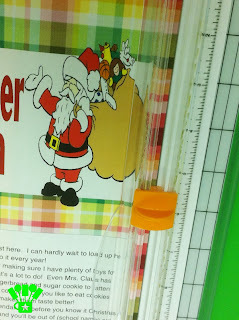 Oh my gosh, my kiddos are going to love this! Thank you so much for linking up to Get Your DIY On! I hope you'll join us today with your "all-star" projects! !